The ORLS (Ontario Regional Lily Society) was formed in 1966. Our Society is made up of members from many areas of Ontario, as well as from other provinces and from the United States. The group exists to encourage the cultivation, knowledge and enjoyment of lilies. 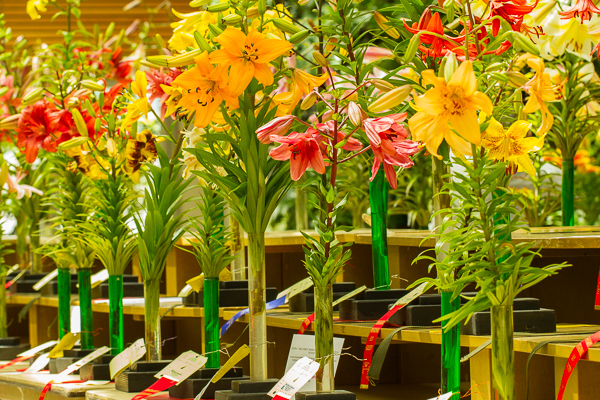 Each July we hold our annual lily show at the Royal Botanical Gardens in Burlington, Ontario. This is a great time for the public to come out and see what lily growers have been up to throughout the year. Our bulb auction and sale is held the first Sunday in October, and our November member meeting is usually the 2nd Sunday in November. To reach board members or committee chairs without an email, contact us at info@ontariolilysociety.ca and we’ll forward on your comments and questions. Or use the contact form in Contact Us.